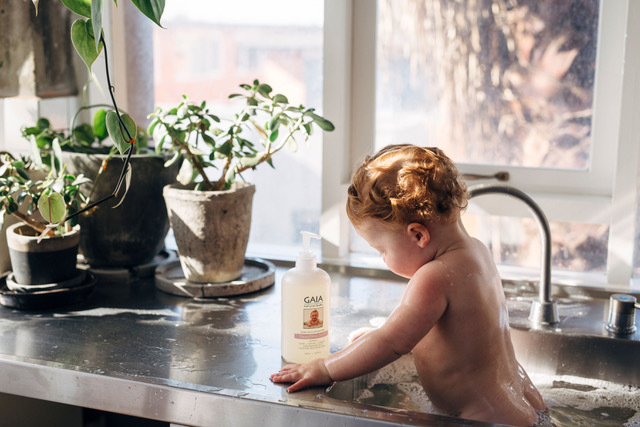 We are excited to announce that we are partnering with the ever amazing baby skin care brand GAIA Natural Baby for the launch of Issue #2 and Autumn/Winter Season! We love this amazing Australian brand and were extremely excited that they wanted to collaborate & be apart of the Little Mag journey by partnering with us for the Autumn/ Winter edition that we just had to share their story with you all! The brand was born when Michelle couldn’t find products to care for her sons skin after he developed eczema at just 8 weeks of age. Founder and super mum, Michelle has created a beautiful product range specialising in battling the harsh Australian climates. The range of skincare products contain pure, natural and organic ingredients that are suitable for sensitive skin. All of their baby skincare products, excluding baby wipes, are made right here in Australia, meet our tough safety standards, and have a minimal effect on humans, animal life, waterways and environment. Even our Baby wipes are biodegradable and alcohol and chlorine free. Their recyclable bottles are made locally – and the labels are even printed here too! But it doesn’t just stop there! Amongst others ingredients, GAIA uses Organic Sweet Orange Oil in the majority of its baby products because of its known skin calming properties – and this is a by-product of the Australian Fruit Growers Industry! From their humble beginnings on a certified organic farm in the Dandenong Ranges, GAIA has set the standards for natural skin care for babies and children over the last 16 years and have become one of the highest selling baby skincare ranges in Australia, and really, we cannot speak highly enough of this incredible brand! So, to celebrate the launch of Issue #2 and our partnership for the season with GAIA, we are running an incredible giveaway to allow you to grab yourself something incredible from this beautiful Australian brand!!! 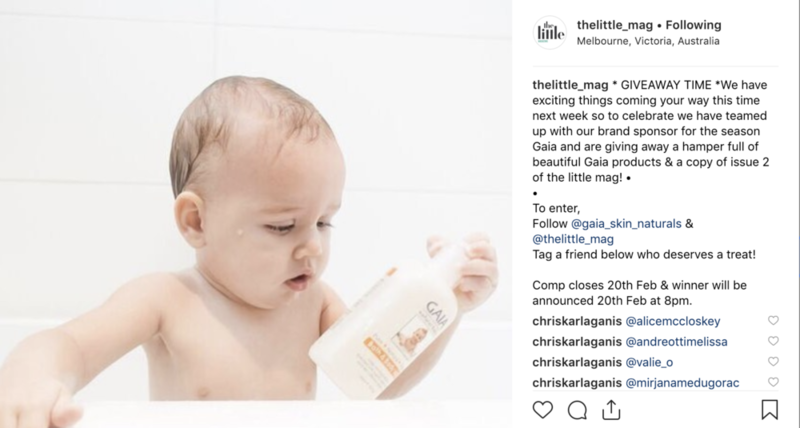 A hamper from GAIA worth over $120, Issue #2 of the Little Mag & $50 voucher to The Little Mag Shop Season 2. To enter head over to our instagram, link below & and find this post! All the entry information is there for you.